Queen duvet cover (88" x 88") featuring the image "Budapest Flower Woman" by Madeline Ellis. Our soft microfiber duvet covers are hand sewn and include a hidden zipper for easy washing and assembly. Your selected image is printed on the top surface with a soft white surface underneath. All duvet covers are machine washable with cold water and a mild detergent. Thanks for the feature of this photo in the group Travel Art. I am honored! A lovely portrait, Madeline and your story/confession is touching too. I like the way you included her bags. 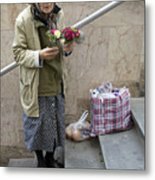 We never know who we are meeting in the street - we all make assumptions and so often are wrong. F/L And featured in Street Photography. Frank, such a lovely comment and thanks for the F/L as well. I am honored that you featured this photo in Street Photography. I am honored to have this photo featured in the Casual Portrait Photography group. Yes, it is sad. 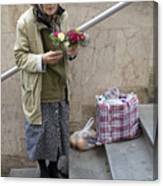 She was a very proud woman who was insulted that confused her with a beggar. It is nice to know, Carl, that this photo is now one of your favorites. Thanks, Jeff. And for your tech support. Carl, Gary, Sharon and Valerie, thanks for noticing this woman and comment. I don't think I will every forget this woman and what I learned from her. What a beautiful woman she is, and proud. Bitter sweet story Madeline. There is a very sweet sadness to this picture. It is enhanced by the story you tell. You have a good heart. I mistakingly took this woman selling flowers for a beggar and gave her money. 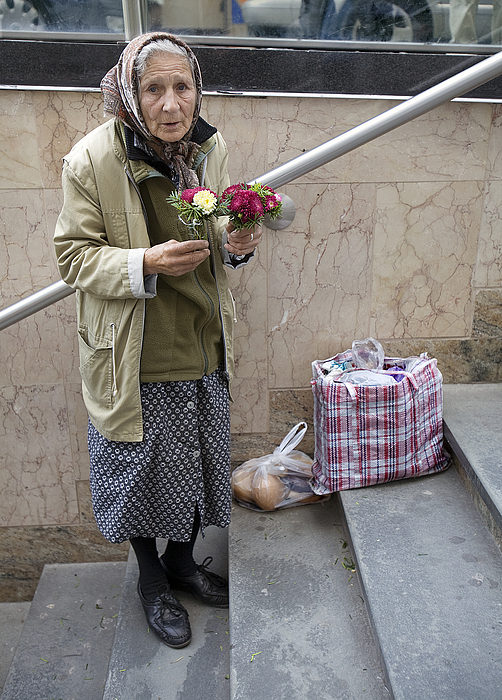 When she handed me a flower in return for the money, I refused. 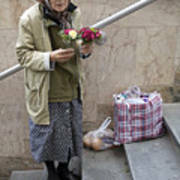 The next time I saw her, she angrily put the flowers behind her back showing me that I had insulted her.